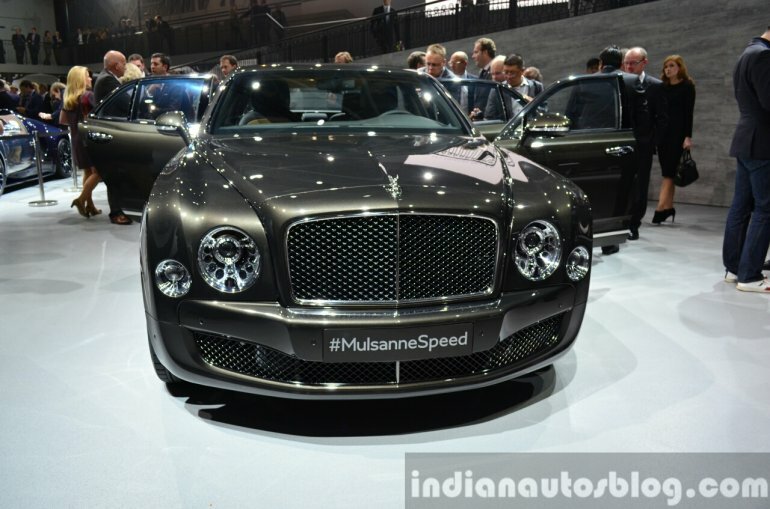 The Bentley Mulsanne Speed was unveiled at the VW Group Night in Paris on the eve of its public launch at the Paris Motor Show. Holding the promise to deliver “the fastest ultra-luxury driving experience in the world”, the new Mulsanne variant comes in four new exterior colors - Candy Red, Spectre, Camel and Marlin. The car features a dark tint finish on the radiator grille, lower bumper grilles and wing vents. Also on the menu are a set of new 21-inch wheels, that come in painted, polished and dark tint with machined accent finishes. The colours, veneers and trims are revisited with the door panels and seats receiving diamond quilting, a new headliner and drilled pedals wrapping up the interior changes. Under the bonnet is an upgraded 6.75-liter V8 engine, generating 537 PS and 1,100 Nm. 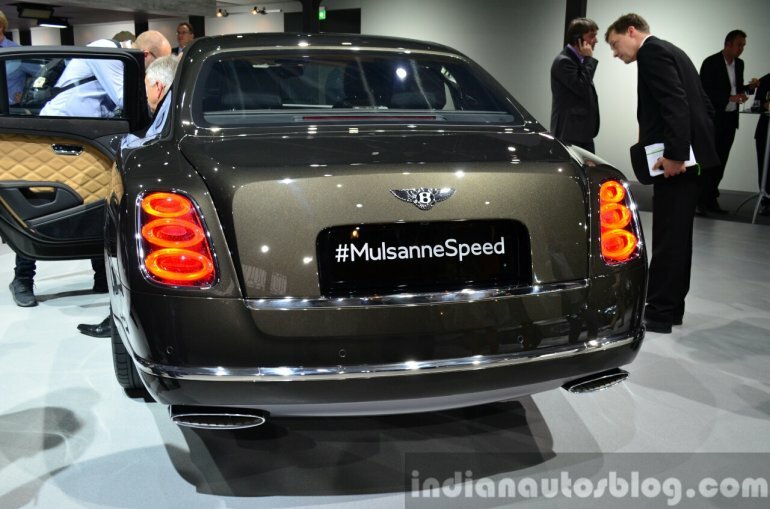 The revised engine catapults the Mulsanne Speed from 0-100 km/h in just 4.9 seconds with a top speed rated at 305 km/h. The engine is equipped with cylinder deactivation technology that can run it as a V4, reducing CO2 emissions from 393 g/km to 342 g/km. The engine is mated to a revised 8-speed automatic transmission with a 'Sport' mode for faster response. In this mode, the suspension is stiffened for better body control and the steering dynamics are adjusted for more accuracy and feedback. The Mulsanne Speed will be available for customer delivery this winter. 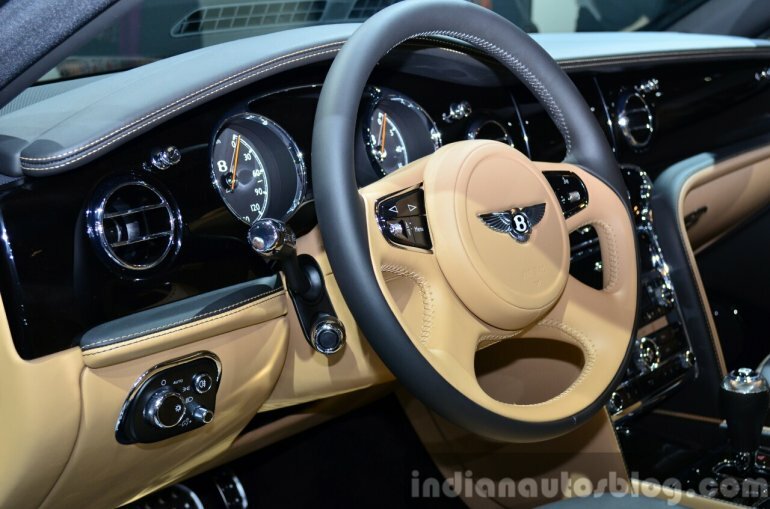 Prices start at around 315,000 Euros (INR 2.44 crores).